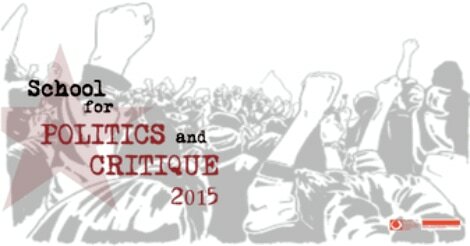 The Institute of social sciences and humanities – Skopje, with the support of the Rosa Luxemburg Stiftung Southeast Europe, announces a call for participants for the School for politics and critique with the participation of the following keynote speakers: Ray Brassier, Oxana Timofeeva, Agon Hamza, Katerina Kolozova and Davor Löffler. The series of four political workshops under the frames of the School for politics and critique 2015 are conceptual flow from the activities of the School for politics and critique 2014 and they aim at enabling a space both for learning on strategies of enacting large coalitions and action within them, as well as to generate new theoretical knowledge on the political challenges of the current context. The School will provide a larger group of activists an opportunity to work with experienced political activists and theorists. 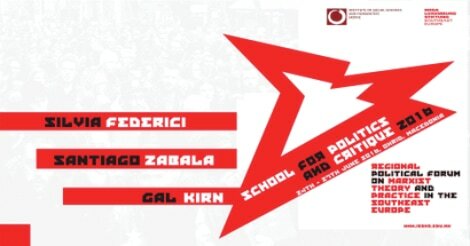 The "School for politics and critique" aims at strengthening the theoretical and practical skills of Macedonia's activists for the purpose to answer the challenges of the neoliberal policies that has come to over-dominate the political and everyday life. The School will directly support the activists in the development of a sustained political rhetoric through providing substantial means for delivering socially and ideologically informed analysis and critique. The seminars will provide a space for strengthening of knowledge, discussions and exchange on key topics of Marxist theory and revolutionary praxis.